On Wednesday, April 3, 2019, A delegation from the University of Reykjavik in Iceland visited the German Jordanian University (GJU) to meet EDU SYRIA Team and discuss the possible cooperation. During the meeting, the delegation listened to a presentation about EDU-SYRIA message, goal, and achievements. 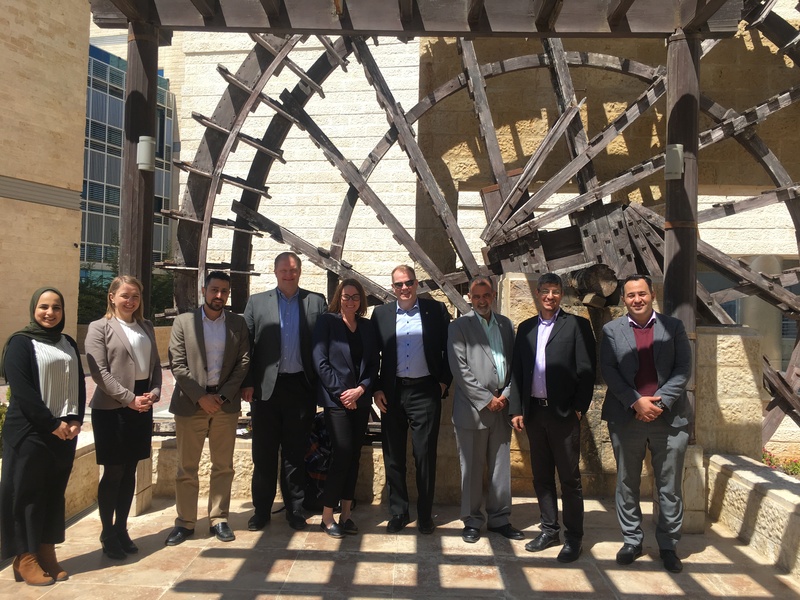 the delegation was also introduced to “My story” initiative, that aims to give voice to Syrian refugees and vulnerable jordanian students of the program. 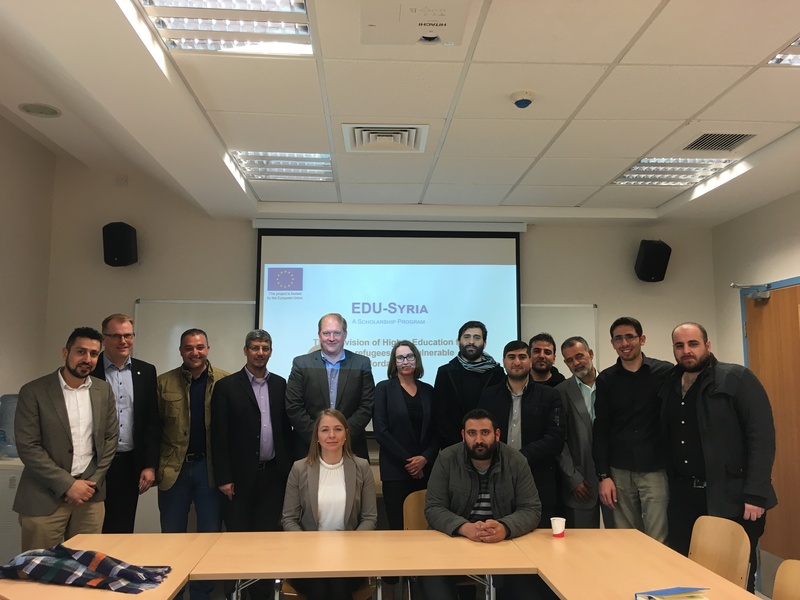 The President of the University of Reykjavik, Dr. Ari Jonsson, expressed his admiration for EDU SYRIA and praised the achievements the program has done so far. A group of the program students were also invited to the meeting to talk about their experience the importance of EDU SYRIA Scholarship. The University of Reykjavik is the largest private university in Iceland. It offers Bachelor’s and Master’s degrees in several fields such as Science, Engineering, Computer Science and law.